In this study a new bacterial cellulose (BC) producer isolated from commercial vinegar is identified as Komagataeibacter intermedius JF2 based on the examination of general taxonomical characteristics, 16S rDNA sequence analysis, and MALDI-TOF mass spectrometry. The cellulose produced is studied in terms of morphology by scanning electron microscopy, crystallinity by X-Ray diffraction, structure by Fourier transform infrared spectroscopy, and water absorption capacity. BC yield and characteristics of the cellulose produced by the new isolated JF2 are compared with those of the well-known and commonly-used BC producer Komagataeibacter xylinus. Yield of cellulose production was higher for JF2 than for K. xylinus grown on several culture media. JF2 exhibited maximum BC production (1.6 g/L) growing on HS medium supplemented with mannitol. The molecular structure of the produced cellulose was the same for both strains and it was in concordance with that of BC. 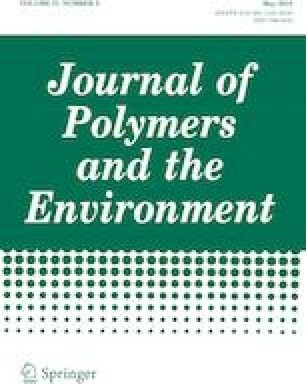 The nanocellulose fibers produced by JF2 showed a higher degree of crystallinity and a more homogeneous size distribution than those produced by K. xylinus. The results suggested that Komagataeibacter intermedius JF2 could be a suitable candidate as a BC producer for biotechnological applications. This work was financed by the Scientific and Technological Research Council (MINECO, Spain), grants CTQ2017-84966-C2-2-R and CTQ2014-59632-R, and by the Pla de Recerca de Catalunya, grant 2014SGR-534 00327.